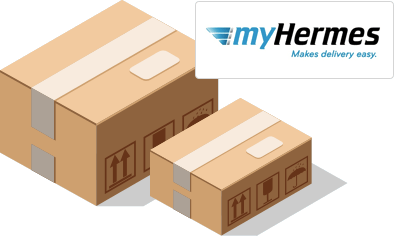 With the introduction of two new services for parcels up to 2 kg — myHermes Small and myHermes Medium — you now have the opportunity to save even more on your sending. Previously, myHermes pricing was set by weight only. Now that prices on parcels up to 2 kg are based on size instead. 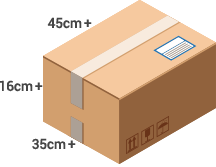 That means if you have a parcel of up to 2 kg, you’ll get either a ‘Small’ or ‘Medium’ parcel rate, depending on it’s size. The great news is that with Small parcels, you can save up to 30% on your 2 kg parcel deliveries compared to our previous prices! And since Small isn’t as small as you might think – roughly double the size of your average shoebox – there’s plenty of room for you to get in on the savings. Plus, Small and Medium is available both for drop-off and collection services, so you save no matter how you send. So make the most of our new myHermes prices. Book a Small or Medium parcel delivery and start saving today. Small parcels are actually bigger than you might think. you can select the SMALL pricing category. For example: two standard shoe boxes or twelve rolls of toilet paper. Medium parcels are ideal for bulkier items. If your parcel is larger than 45cm x 35cm x 16cm but is still under 2kg you can select the MEDIUM pricing category. Maximum length of 120 cm, with a maximum Length+Girth of 245 cm. For example: large toys or a double-size duvet.